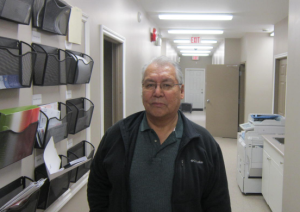 Hickson was recently hired on a part-time contract and has spent the last few months catching up on manuals and files on on-going applications. He had attended a Training Seminar in Saskatoon in late February. After which, he is now certified to issue status cards. He thanks you for your understanding and patience. The on-reserve Income Assistance Program is a federally funded program of last resort to provide financial assistance to any eligible individual or family that can clearly demonstrate that he/she is unable to meet their need(s) for food, shelter, personal and other items essential to his/her health and well-being. 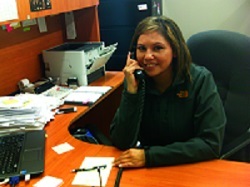 Sherisse is the Finance Clerk here at Poundmaker Cree Nation. 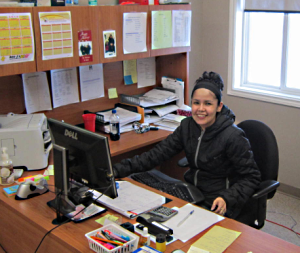 Her job consists of payroll, elder's bills in the winter months, incoming cheques in general and other tasks and duties.